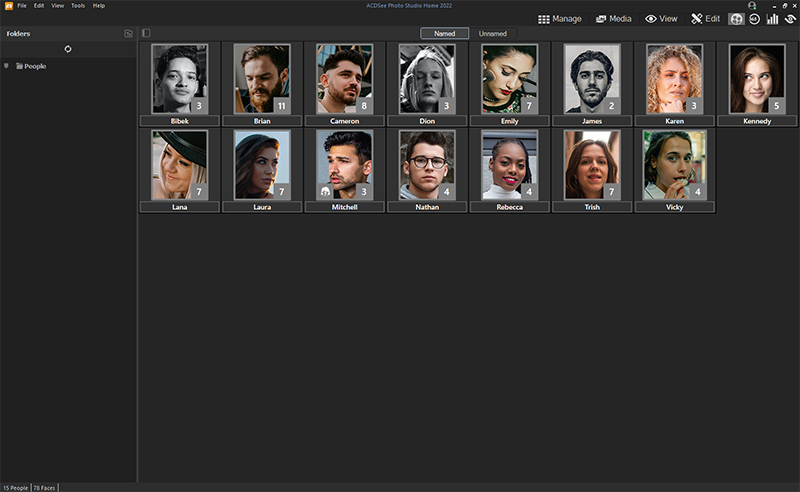 ACDSee Photo Studio 2018 – Organize, edit, and share your photos with ease. Developed over decades, ACDSee Photo Studio Standard 2018 stands up to the demands of modern image processing. Photo Studio Standard 2018 continues to offer trusted, efficiency-driven digital asset management tools paired with photo editing essentials for the practical amateur. With productivity-based improvements, such as mobile syncing, streamlined importing, improved facilities for keywording and categorizing, and much more, Photo Studio Standard provides all of the fundamental elements you need for your photography workflow. With ACDSee Mobile Sync, you can wirelessly and instantly send photos and videos directly to ACDSee Photo Studio from your mobile device! Just select and send. Available on iPhone and Android, the ACDSee Mobile Sync app keeps track of which photos have been sent, so you don’t have to. Zoom through your process with flexible selection options and configurable filenames and subfolders. Strike the perfect light and color balance in your images. 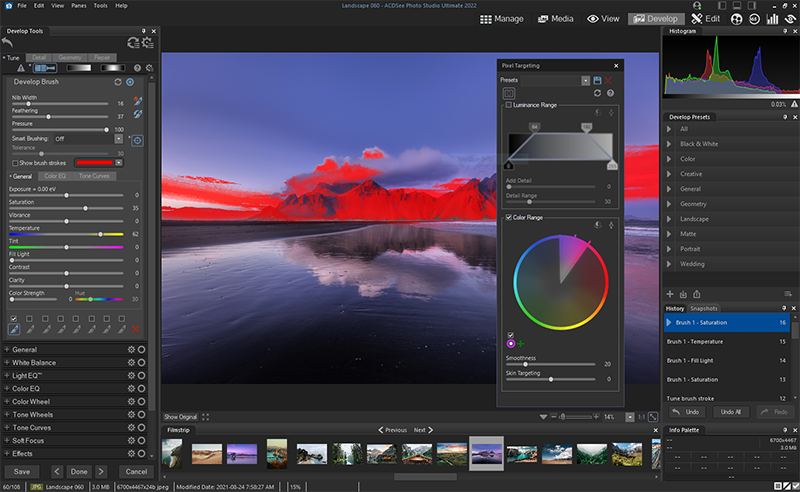 Control white and color balance, tint, saturation, hue, and lightness with mathematical precision. Intuitive lighting adjustment tools allow you to effortlessly adjust exposure and contrast with our patented Light EQ technology. Manipulate shadows, midtones, and highlights for picture-perfect lighting. Dynamic noise reduction designed to preserve detail makes it possible to define the type of grainy noise artifacts to remove. 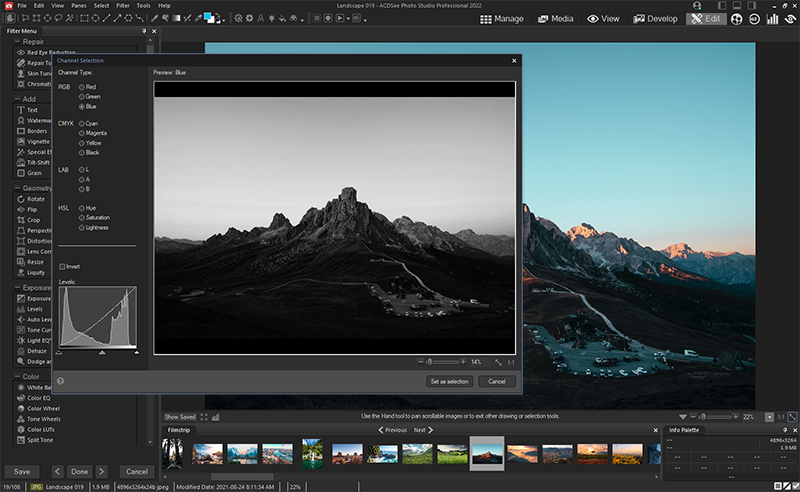 ACDSee Photo Studio Ultimate 2018 – With GPU-accelerated adjustment layers, RAW editing, and an arsenal of professional digital asset management tools, ACDSee Photo Studio Ultimate 2018 is perfectly positioned as the only software you need to satisfy any part of your digital photography workflow. Now featuring even more ways to take control of your photo manipulation, flexible mobile importing, tools facilitating productivity, and much more, Photo Studio Ultimate makes it easy to get speedy, stunning results. Make the most of your RAW images with Photo Studio Ultimate’s built-in support for over 500 camera models. For ultimate freedom, start with the rough data captured by your camera’s sensor and non-destructively transform it into whatever you want using exposure, contrast, color, repair, sharpening, and other detail-based tools. You can use the Layered Editor to fearlessly innovate using parametric photo manipulation. Add layers designed to achieve individual adjustments and effects, and go back in to tweak them at any time. Pair individual layers with any Edit mode filter or adjustment for complete image manipulation liberty. Finding, sorting, moving, organizing, and sharingeverything you need for complete mastery over your photography workflow is right here, at your fingertips. Add ratings, hierarchical keywords, categories, and location data to your images. Quickly identify photos for further processing with visual tags or customizable color labels. Take what you want from your photos, and integrate the rest. Select unwanted objects for removal and use the Smart Erase function to fill in the area with a matching background. This content-aware tool will produce a natural result even while extracting elements like telephone poles, crowds of strangers, imperfections, ominous clouds whatever you want. Make the most of your RAW images with Photo Studio Professional’s built-in support for over 500 camera models. For ultimate freedom, start with the rough data captured by your camera and transform it using exposure, contrast, color, repair, sharpening, and other detail-based tools.